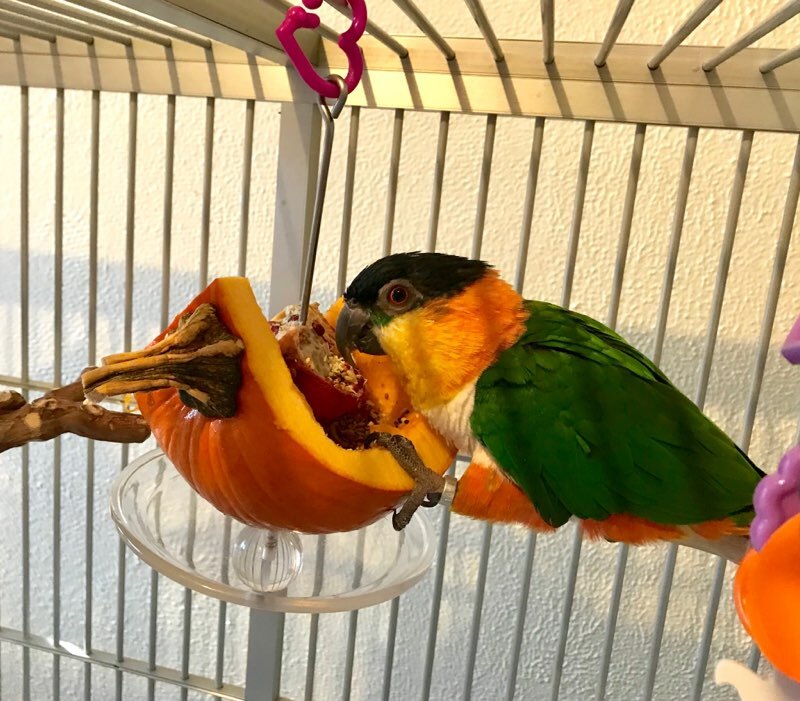 Note that Ravi (Caique) is being encouraged to forage by giving him a partial pumpkin (as a bowl) and a messy pomegranate is inside (great way to help contain the mess). Thanks to Holly T. from Dallas for sharing her photo and giving us a great tip. All the parts are interchangeable. She has the bowl from the Buffet Ball, the Skewer from the Foraging Ball Kabob or the Foraging Kabob. Great tips, Holly! We've added this page because many folks are looking for ways to reduce their toy budget. Skewers are a wonderful way to encourage foraging, are refillable (make sure it is stainless steel when using for food) and a great way to recycle toy parts! If you're looking for more foraging toys, please click here. Please share your ideas so we can share with others.